Dental veneers are thin, tooth-coloured shells of porcelain that are bonded over the front of aesthetically challenged teeth. They’re a more conservative treatment compared to having a full crown made. Our Wembley Downs, Sorrento and Doubleview dentists may recommend them for a smile makeover if your underlying tooth is healthy. 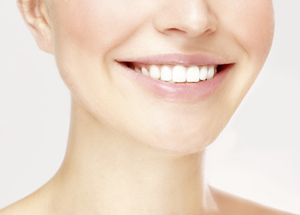 In most cases, veneers are suggested for treating defects that impact front teeth which are visible when you smile. For smaller irregularities, bonded veneers are often an appropriate alternative to conventional porcelain veneers. For these procedures, the tooth is “painted” with a bonding liquid and a putty-like composite material is moulded onto the tooth. A bright curing light hardens the material into place. Caring for your veneers is easy. Simply brush (using non-abrasive toothpaste) and floss as you normally would and schedule checkups every six months. You also need to avoid biting on hard objects such as ice cubes, carrots or pencils as doing so could damage the veneers. Never use your veneers to open packages either! It depends on the insurance plan you have. If your plan doesn’t cover veneers, we provide convenient financing options. No cosmetic concern is too big or small for the dentists at Dental Link to assist you with. Contact one of our three convenient practices to schedule an evaluation today. We’re open late and on Saturdays!